Administrators at Raney’s high school were at first unwilling to allow the Christian club because of its religious nature. Superintendent Cheryl Pedisich later lifted the ban, however, and apologized after the Liberty Institute, a Texas-based legal organization dedicated to defending religious liberty, threatened to intervene. Just a few weeks into the new school year, Raney received news that he and other Christian students were prohibited from forming a club yet again. Upon being contacted by Raney, the Liberty Institute sent a letter to the school district advising it to accommodate the Christian club under the Equal Access Law, a federal statute enacted in 1984 mandating federally funded educational institutions to allow such clubs. “Simply put, public schools cannot discriminate against religious clubs and must treat them equally, and provide them equal access to school facilities, as non-religious clubs,” wrote Attorney Hiram Sasser in the letter. “I feel like they have something against me and my faith. I feel marginalized,” Raney told Fox News. According to a chart published by the Liberty Institute, Ward Melville High School has 33 recognized extracurricular clubs ranging from the Women’s Forum and Robotics club to the Gay Straight Alliance. School administrators told the National Catholic Register that “financial limitations” and the club’s failure to have 20 members were the primary reasons behind the decision to ban the club. 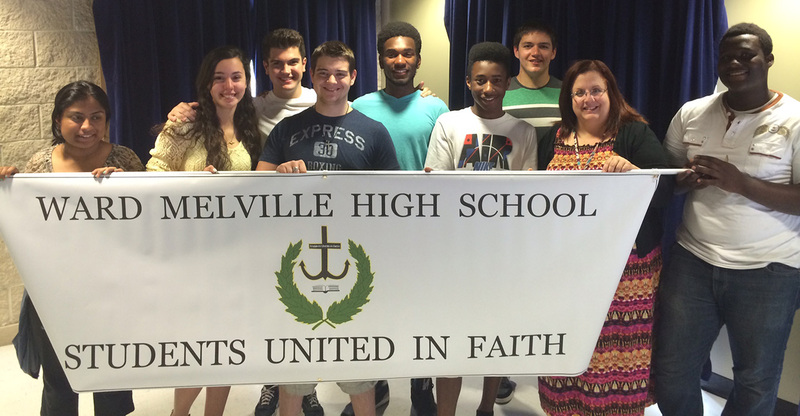 “[T]he district will grant [Students United in Faith] recognition as a student group for the 2014-15 school year and reverses any contrary decision,” wrote Sheahan. Ward Melville High School did not respond to The Daily Signal’s inquiry on their decision to reverse the ban for a second time. Gabriella Morrongiello is a member of the Young Leaders Program at The Heritage Foundation. The transfer, by the parents, of so much of their own authority and responsibility to the schools is in most ways a cowardly and contemptible business.